Burgundy’s historic, bucolic and culinary treasures are uncorked on this delightful journey. Spinning from Lyon to Dijon—two UNESCO-designated marvels—you’ll cycle a countryside bursting with grapes for the region’s celebrated wines, explore masterpieces of medieval urban planning, roll past charming stone villages and along riverbanks, and more. Of course, no visit to Burgundy is complete without its legendary food and wine, and our generous included features offer just that—from Michelin-approved dining to a picnic at a local home. Join us in this charming corner of France on a tour that’s vintage VBT! 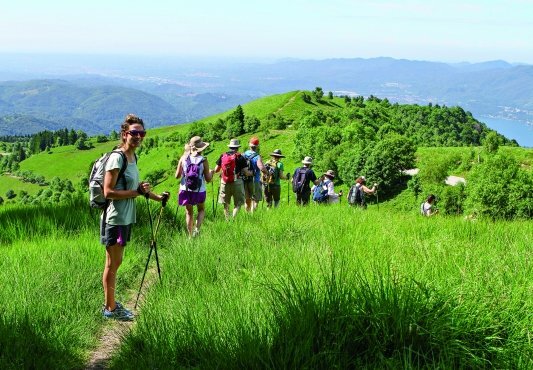 This tour offers a combination of easy terrain mixed with moderate hills. Our VBT van support shuttle is always available for those who need assistance. Ideal for beginning and experienced cyclists alike. 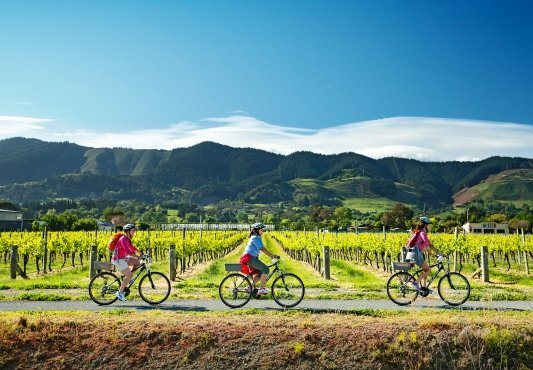 Cycle through the peaceful countryside that produces delicious Chardonnay wines. Visit a local market in Cluny, home to a 10th-century abbey. Pass renowned wine villages on a roll through the world-famous vineyards of the Côte de Beaune. Savor classic French cuisine at a Michelin-approved restaurant. Visit the 15th-century Hospices de Beaune, a masterpiece of flamboyant Gothic art and architecture. 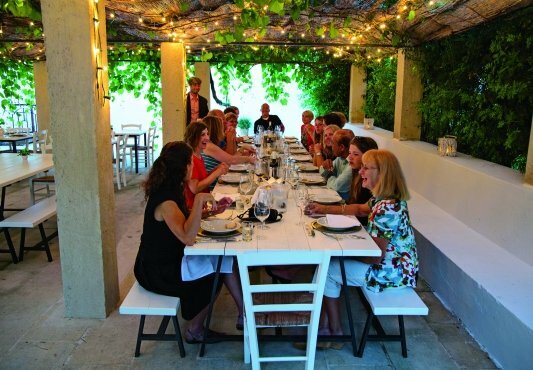 Engage with a local family during a game of pétanque and a picnic lunch at their charming summer home. Discover a protected city center that has inspired musicians, artists and writers for centuries in Dijon. Surround yourself with pastoral splendor on a roll along Burgundy's beautiful Garden Route. Browse Dijon's wealth of fascinating—and free—museums. Depart from home for France. The particulars of your overseas arrival are detailed with your flight itinerary. Upon arrival at Lyon Airport, claim your luggage and clear customs. If your luggage is lost, fill out a PIR form before leaving the customs area; VBT representatives are not allowed into the customs area. Please note: Make sure that your VBT luggage tags are attached to your bags. This helps the representative identify you. After exiting customs, enter the arrival hall and look for your VBT representative or driver, who will be holding a VBT sign. Your representative will welcome you to France and arrange for your transfer via taxi or van (approximately 40 minutes, depending on traffic) to your Lyon hotel. Important: If you are delayed in meeting your VBT representative at the Lyon Airport, please call 06 68 32 22 05 from within France. Outside of France, call +33 6 68 32 22 05. VBT provides City Information that includes information and recommendations for what to see and do in Lyon. Use the rest of the day to relax. Or begin exploring Lyon, following your whims and desires on foot or using the city’s network of buses and trams and the subway. Please note that hotel check-in is 2:00 p.m., but the hotel will try to have rooms available earlier if possible and will store your luggage if needed. 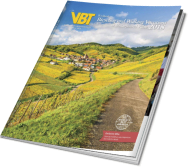 VBT Air Package and Pre-Trip Extension guests: Meet one of your VBT Trip Leaders in the hotel lobby at 9:00 a.m. You will transfer by bus via Cluny to the hotel in Tournus. Cluny, the former abbey and home of the Pope around AD 910, was larger than St. Peter’s Basilica in Rome in its heyday. It was later dynamited, and its richly carved stones were sold by an unscrupulous group that included a local priest. You’ll stroll along the ancient stone streets of Cluny with a local guide. VBT has timed your visit to fall on a market day, so you’ll have the opportunity to buy some local specialties for lunch on your own. 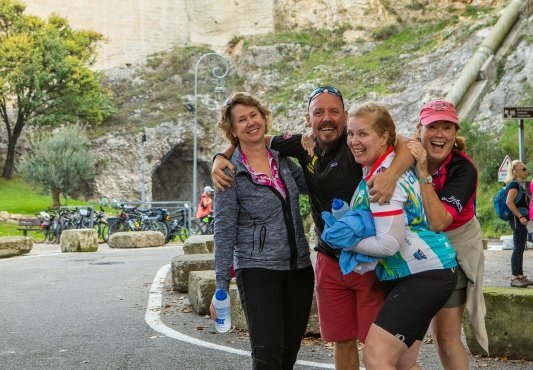 Arrive at your Tournus hotel, meet your second Trip Leader, and have free time to settle in before a safety and bike-fitting session and brief warm-up ride through the countryside and on a bike path along the River Saône. After some time to freshen up, meet for a welcome cocktail reception and dinner in your hotel. Dine in its restaurant that is highly rated by the Michelin guide as a “très bonne table” (very good table). This morning’s ride takes you on the flat Voie Bleue bike path along the tranquil banks of the Saône. Keep your eyes open for the varied birdlife along your route. Leaving the river, you’ll enter rolling wine country, where the dry white wine of the Chardonnay grape is produced. Roll into the wine village of Viré, home to a recent success story in France’s wine world. In the latter part of the 20th century, the villages of Viré and Clessé realized that they had a high-quality wine that could rival the older appellation of Pouilly-Fuissé, so they applied for a separate status. This was finally granted in 1999, and the Viré-Clessé appellation emerged. Continue cycling to a small village with a name that is linked worldwide to dry white wine: Chardonnay. The village recently celebrated its thousandth anniversary. Its name comes from cardonnacum or the “place full of thistles.” Chardonnay grapes most likely originated here and were then shared and distributed throughout France by monks. The earliest recorded reference to Chardonnay occurred in 1330. It was around this time that Cistercian monks built stone walls around their Clos de Vougeot vineyard exclusively planted to Chardonnay grapes. The village of stone houses grew up around the lavoir, a stream-fed wash-house, and several domaines (wine producers). You’ll stop in this charming spot for lunch at a local restaurant. After lunch, continue through the peaceful rural countryside before rejoining the Voie Bleue bike path along the river and following it back into Tournus. Tonight, take a short walk to a nearby wine purveyor for an introduction and tasting of the incredible depth of Burgundy’s wines. Afterward, you are free to enjoy dinner on your own in one of the local restaurants, or you may choose to eat in the hotel’s renowned bistro. This morning, hop a shuttle to your starting point. Get underway with a brief reel through the vineyards of the Côte Chalonaise. At Chalon sur Saône, pedal along the Voie Verte bike path, following the Canal du Centre to Santenay. Afterward, continue on small roads through the world-famous vineyards of the Côte de Beaune, passing renowned villages such as Puligny Montrachet, Meursault and Pommard—considered the mecca of Chardonnay production by many oenophiles. This afternoon, there’ll be time for lunch on your own before you continue your ride into Beaune, the elegant town that is imbued with wine traditions—and your next accommodation. After time to relax, walk through its charming pedestrian center for dinner in another Michelin “très bonne table” restaurant—not as high as a “star” but indicating a rigorous approval! After an elaborate breakfast (including wine and cheese, of course, for those who are so inclined), a five-minute walk takes you to the 15th-century Hospices de Beaune (also known as the Hotel Dieu), the epicenter of Beaune. This perfectly preserved historic treasure was the recipient of Europe’s earliest philanthropic endeavors and today is still entirely financed by private donations. It has never been closed a single day in more than 500 years! This authentic masterpiece of flamboyant Gothic art and architecture is Burgundy’s single most-visited site; you will understand why after setting foot inside the stunning courtyard. Visit the Hospice, then cycle out of wine country and head into the countryside on narrow, quiet roads to the small hamlet of Cussigny. As lunch nears, your small group is invited into an old mill that serves as the summer home of the Lefils family. Here, enjoy a game of pétanque before a picnic prepared by your Trip Leaders. Conclude this pleasant visit with homemade dessert and coffee or tea with your generous hosts. Afterward, ride back to Beaune through forests, villages and—depending on the time of year—sunflower or canola fields. On return to your hotel, perhaps relax in the spa, then stroll through the town’s narrow medieval center to enjoy dinner on your own in one of the fine restaurants. Your cycle route today takes you through some of the most famous vineyards in the world, en route to Dijon, the beautiful capital of the Burgundy region. 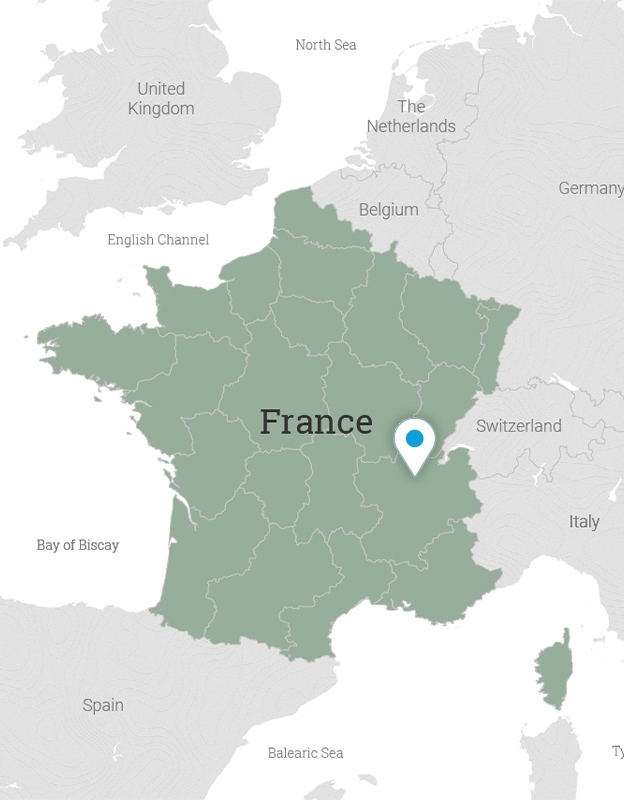 You’ll wind your way to Nuits St George, the region where famed Côte de Nuits red wines are produced. Here, stop to choose from different lunch options on your own before cycling along the narrow lanes used as access routes by local vineyard workers. In this area, monks toiled for centuries making wine for religious services. Historians now point out they likely kept the very best wine for themselves. It is thought that the very first red wines in the world were made here—and that monks macerated the grape skins so the typical rosé wine would more closely resemble the blood of Christ. The UNESCO World Heritage Committee added the entire stretch of vineyards from Beaune to Dijon to its World Heritage List in July 2015. Along the Route des Grands Crus, you may wish to stop and explore old and charming villages such as Vosne-Romanée and Gevrey-Chambertin before continuing all the way to the outskirts of Dijon. As you enter the capital of Burgundy, marvel at the astonishingly well-preserved city center. Dijon, often called “Sleeping Beauty,” is third in France for its number of protected historic buildings, with more than 100 acres of the city center protected. This capital of the former ducal kingdom has attracted musicians, artists and writers for centuries. 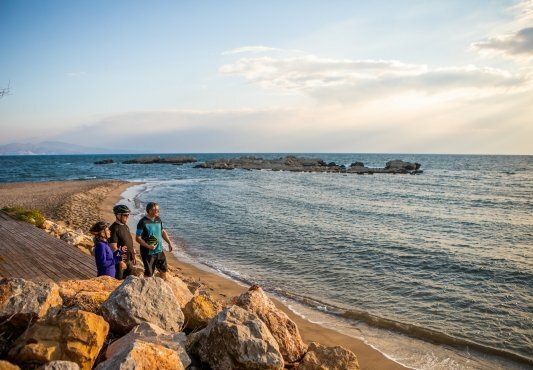 After checking into your hotel, set out on a walking tour with your Trip Leaders. This evening, venture out on your own to wander the medieval cobbled streets and find just the right place to enjoy an apero (aperitif) and dinner on your own. 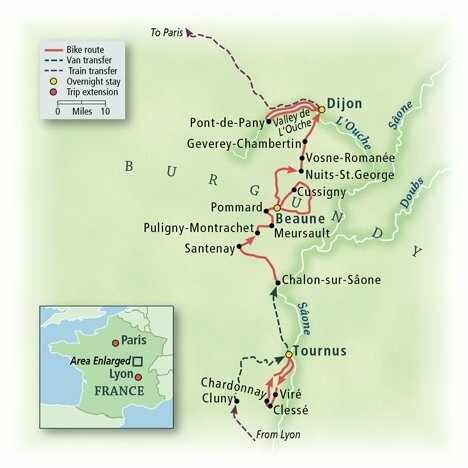 After breakfast, cycle directly from the hotel to the Route des Jardins, Burgundy’s beautiful Garden Route, and the pleasant byway along the Canal de Bourgogne to Pont de Pany. A short option loops back to Dijon; longer options head into the Valley de L’Ouche along the winding River L’Ouche and the canal. 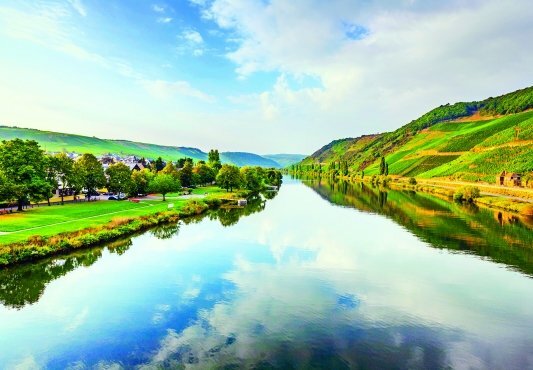 The bucolic scenery here has made this route a favorite of every traveler in France for its lush, peaceful and unspoiled countryside—it’s the pastoral side of France at its most authentic. Back in Dijon, you might browse the many fine museums specializing in everything from fine arts and sacred art to natural history and daily Burgundian life. Each is free and housed in a historic building. Tonight, finish your week of cycling with a stroll through Dijon’s pedestrian streets to a farewell dinner in a fine gourmet restaurant housed in a 15th-century building. VBT Air Package guests: After breakfast, walk to the Dijon train station (your luggage will be taken in the van) and continue by high-speed train to Paris. Upon arrival, you will be met by a VBT representative and transferred to your centrally located hotel. VBT provides you with City Information and recommendations for what to see and do in Paris. Use the rest of the day to relax or to begin exploring Paris. After breakfast*, transfer to the Paris Charles de Gaulle airport for your return flight**. Please ensure you are ready in the hotel reception area at the designated time. VBT-Bicycle-Vacation-only guests: Meet one of your Trip Leaders in the lobby of the Hotel Carlton Lyon MGallery by Sofitel at 9:00 a.m. (4 rue Jussieu , Lyon 69002, telephone +33 478425651). He or she will be wearing VBT staff garments. If your arrival in Lyon is scheduled later than 9:00 a.m. or if you are delayed, you must take a taxi or train to the hotel in Tournus at your own expense (Hotel Le Rempart, 2 Avenue Gambetta, Tournus 71700, telephone +33 3 85511056). Taxi cost is approximately €200 (travel time is approximately 1 hour to the first hotel); train cost is approximately €30 (travel time is approximately 1 hour, 10 minutes). If you have taken the train, depart the train station and take a right; you will see the hotel on the opposite side of the road about 300 yards away. If you experience any travel delays or changes to your schedule, please contact the first hotel to advise the staff, and they will inform your VBT Trip Leaders. VBT-Bicycle-Vacation-only guests: Your tour ends after breakfast. It is an easy five-minute walk to the Dijon train station if you wish to take a train to the airport or your next destination. For nearly 600 years, the Grande Hotel La Cloche has been welcoming visitors to the heart of Burgundy. Today, the hotel is set in a centrally located, 19th-century heritage building near the Old Town and a number of attractions, including museums and the Ducal Palace. Savor delicious gourmet French and international cuisine at the hotels two restaurants, and take advantage of the fitness center. A golf course is also available nearby. Past and present converge at the Hotel Le Rempart, a 4-star, family-run establishment built on medieval ramparts and set on the site of a 15th-century guardhouse. Inside, find an elegant, modern ambiance and a focus on the cuisine for which Burgundy is famous. In the restaurant, enjoy a creative menu based on fresh local produce, or dine in the bistro, whose menu is also served on the delightful Romanesque patio in warm weather. It wont take long to see that Beaunes Hotel Le Cep, tucked into the heart of the medieval city, was made for royalty. This was Louis XIVs favorite accommodation when he visited Burgundy, and its sure to be yours, too. This unique lodging was established as a private home in the 16th century. 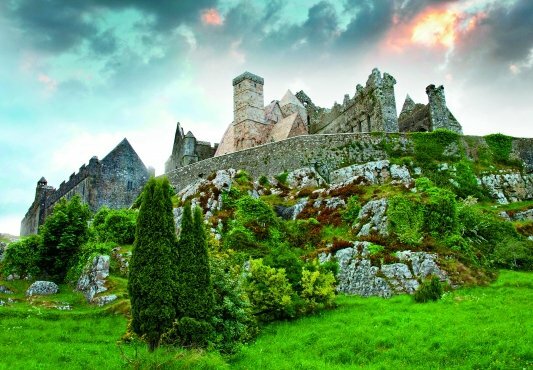 Its grounds include buildings built as early as the 14th century, and its “newest” structures date to the 18th century. The 1547 courtyard is overlooked by Italianate galleries and two lovely towers. you will savor the local flavor in the hotels renowned restaurant, whose wine list boasts 50 regional wines. The Hotel Le Cep is one of the “Small Luxury Hotels of the World” and was included in the 500 best hotels list from Travel + Leisure for 2013, demonstrating its excellence in quality. This four-star hotel is located a few steps from the Champs-Élysées and the Rue du Faubourg Saint Honoré, in one of Paris most elegant and well-known quarters. It is a very easy and safe base for exploring, shopping and taking evening strolls. Small and family-run, it exudes an ambiance of elegance, charm and Old World traditions. Relax in the hotel spa and in your room, which is decorated in a Louis XV style. Enjoy its modern amenities, including air conditioning, cable satellite TV, free wireless Internet service, in-room safe and minibar. Upon arrival at Lyon Airport, claim your luggage and clear customs. If your luggage is lost, fill in a PIR form before leaving the customs area; VBT representatives are not allowed into the customs area. Please note: Make sure that your VBT luggage tags are attached to your bags. This helps the VBT representative identify you. After exiting customs, enter the arrival hall, and look for your VBT representative or driver, who will be holding a VBT sign. Your representative will welcome you to France and arrange for your transfer via taxi or van (approximately 40 minutes, depending on traffic) to your Lyon hotel. Important: If you are delayed in meeting your VBT representative at the Lyon Airport, please call 06 68 32 22 05 from within France. Outside of France, call +33 6 68 32 22 05. VBT provides City Information that includes information and recommendations for what to see and do in Lyon. Use the rest of the day to relax. Or begin exploring Lyon, following your whims and desires either on foot or using the city’s network of buses and trams and the subway. Please note that hotel check-in is 2:00 p.m., but the hotel will try to have rooms available earlier if possible and will store your luggage if needed. Lyon’s 1,235 acres have been named a UNESCO World Heritage Site, and its streets and their stately structures reveal the city’s 2,000 years of urban development. Today, you might take the funicular to the top of Fourvière Hill, with its spectacular panoramic city views. You can also visit the basilica and the old Fourvière Roman theaters close by. At the bottom of the hill is the old Renaissance district of Vieux Lyon. Be sure to visit Saint Jean Cathedral. Make your way through the traboules (unique passageways built to help silk workers get around the city quickly), passing magnificent interior courtyards, wells and spiral staircases. You hotel is located on the Presqu’île, where the city’s major buildings are found. Here, visit the Palais de Justice and the Musée des Beaux-Arts, which houses one of France’s largest art collections. Indulge in exhibits of Egyptian art, sculptures and paintings from the Middle Ages and masterpieces by Manet, Monet, Picasso and many others here. For dinner, there are endless options, whether the bouchons (small Lyon restaurants), brasseries or Michelin-starred establishments. Take another day to discover Lyon. You may wish to explore La colline qui travaille, or the working hill, of Croix-Rousse, a quarter known for its long association with the silk industry. Admire the walls of the Canuts (silk workers) by the Boulevard des Canuts and the Rue Denfert Rochereau. Visit the Soierie Vivante lace-making workshop, witness weaving techniques at Maison des Canuts, or see demonstrations of the painting techniques used on velvet fabric at Atelier de Soierie. This afternoon, why not rent a Vélo’V bike and ride along the Rhone River to the point where it meets the Saône? 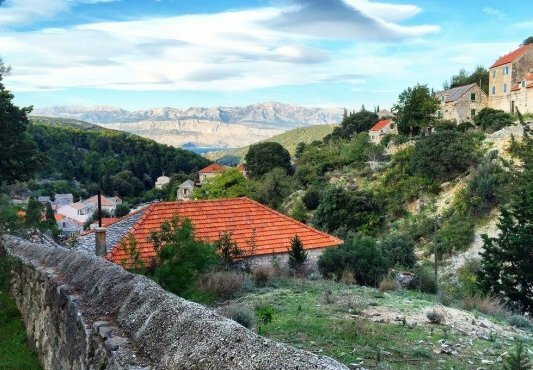 Today, see for yourself why this city has inspired poets, lovers, emperors and artists for centuries. Visit Montmartre and its charming cafés and artists’ colony. Or venture to the top of Notre Dame for a gargoyle’s view of the city. Make a stop at the Eiffel Tower or one of the magnificent museums, such as the Musée Picasso or the Musée d’Orsay. Take a stroll through the Tuileries Gardens on your way to the Louvre. You can walk to many of the major sights from your centrally located hotel. Take another day to discover the incomparable treasures of the City of Light. After breakfast*, transfer to the Paris Charles de Gaulle airport for your flight home**. Please ensure you are waiting in the hotel reception area at the designated time.